Recently we had the distinct pleasure of sponsoring the 45th Social Media Breakfast hosted at the amazing Headspace creative area! The guest speaker was Sean Sandurst (@SeanSandhurst). Sean is the Manager, Content and Social Media Marketing at Postmedia Network Inc. – he is a great advocate of Social Media and a really engaging presenter! Our own Scott Garner (@inov8change) briefly talked about our company, Ci2 Group, and then introduced Sean. Sean’s presentation covered a lot of ground reviewing how fast social media changes and discussing the pros and cons to Outsourcing or having In-house management. Very engaging and informative! You can view his PowerPoint presentation online. Describe your business model. Will Social help you achieve those goals? Business 101 - still applies for Social Media. What are your goals? What is your strategy? What is your measurable? When sending out messages use the Jab-Jab-Jab-Jab-Right Hook or 411 method: 4 gives, 1 sell, 1 re-tweet. Thanks again to Sean for an amazing presentation! 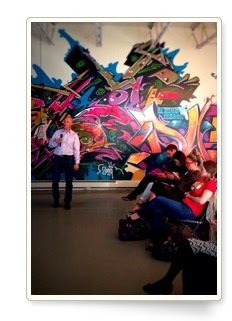 If you have not attended a Social Media Breakfast you should. Donna McTaggart (@donnamct) and her team do an amazing job! The breakfasts are held once a month in varying locations with different guest speakers - all talking about Social Media. Free food and beverages are served and after the presentation there is time to network and share. 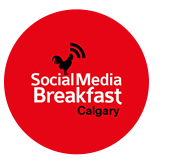 Follow @smbyyc on Twitter to receive notifications for the next Social Media Breakfast!